In the past two years, we have witnessed a sea of change in the attitude of Americans toward cannabis. Colorado made history by becoming the first state to completely decriminalize possession and use of the plant, with Washington and other states soon following. Medical cannabis use is now legal in 23 states, and others will soon be joining that list. Polls find that a solid majority of Americans support cannabis legalization, especially for medicinal use. The alternative media has reported on many incredible ways that cannabis is being used to treat a variety of ailments. Its effectiveness at reducing or eliminating epileptic seizures is nothing short of amazing. People are also realizing that the war on cannabis—and all drugs for that matter—is a war on people carried out by law enforcement to restrict freedom and to extort millions of dollars for victimless behavior. The Drug Enforcement Agency (DEA) gains a sizable amount of revenue through cannabis seizures. The dried plant also provides ample opportunity for local law enforcement to carry out its favorite, most insidious form of extortion known as Civil Asset Forfeiture. The good news is that these abuses of human rights are being exposed, and law enforcement is sounding ever more desperate as justification for their actions withers under the advance of reason and logic. When cannabis is finally decriminalized everywhere, our evolution from the days of Reefer Madness will provide an entertaining yet tragic documentary. The fight continues, and we must build on the momentum if we are to see it to completion. The arguments for legalization are many, and they are sound. But perhaps the entire narrative needs to be reconsidered as we make the final push. Daniel Macris, owner of Halycon Organics, suggests that the very idea of “recreational use” is flawed, and actually hampers the progress toward legalization. ““Recreational cannabis use” is the most detrimental phrase our industry faces today. The basis for this argument lies in our increasing understanding of a part of human physiology known as the endocannabinoid system, which is turning out to be vital to many life-supporting processes. 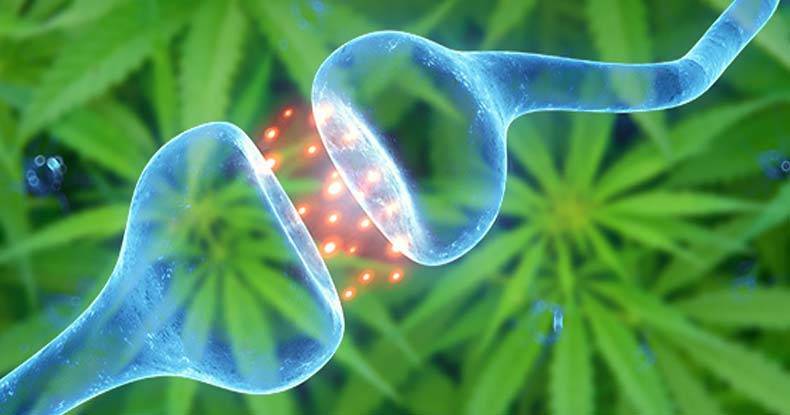 We have seen an explosion of studies looking at the medicinal use of cannabis and its extracts, and they center on “modulating the activity of the endocannabinoid system” as described above. With modern technology, we are discovering the mechanics of something known to the ancients—cannabis is a medicine. People have used it this way for thousands of years. We can now extract even non-psychoactive components of cannabis, such as cannabidiol, to successfully treat debilitating conditions such as epileptic seizures. We can find out which phytocannabinoids are the most beneficial to specific diseases, and figure out exactly how much of the extract is needed for best results. Scientific knowledge will validate what many cannabis users already know—the plant can provide relief from certain ailments and stimulate some of the best human qualities such as creativity and empathy. Macris has interviewed several people and found they use cannabis for conditions that would otherwise be treated with pharmaceutical drugs in the current paradigm. “It makes me relax,” “It helps me sleep,” “It calms me down,” “It helps me think,” “It helps my stomach calm down,” and it “It helps me talk to people,” are some of the ways people have said cannabis helps them. All of these conditions—anxiety, sleep disorder, ADHD, inflamed bowels, and social anxiety—are targeted by pharmaceutical companies that vigorously advertise their manufactured pills with government complicity. “Recreational cannabis users are using cannabis for medical purposes, they just don’t realize it,” says Macris. When someone says they are a “recreational user,” they should consider saying “therapeutic user.” This will be far more effective in the push to completely decriminalize cannabis, as “recreational” implies that it can be abused on the level of alcohol or other drugs. Government may insist on keeping the distinction, as they can tax “recreational” use much more than medical use. In any case, we can garner much more support from fellow citizens when legalization efforts are rightfully carried under the banner of medical use.